When choosing meat or dairy products what is at the top of your priority list, should it just be British, should it be locally produced what should the animal been eating though out its life time, to make it not only the best tasting produce but also the most healthy you could possible buy. Fields containing grasses, wildflowers and herbs are the natural diet of cattle and sheep. Yet today, very few animals are fed from pasture alone. Many farmers now produce their meat and milk as quickly as possible, by feeding things like cereals and imported soya, with animals indoors much of the time. So animals are vanishing from our fields and the tasty, healthy, grass-fed food they produce is hard to find. I have been involved with the Pasture-Fed Livestock Association for five and a half years, helping with their communications. In that time they have grown from a small group of farmers to now more than 300, with more than one thousand supporters. Fifty-six farmers have become certified as being 100% grass-fed, never feeding any grains or cereal feeds to their animals. This means they can market their produce under the ‘Pasture for Life’ logo. Every piece of Pasture for Life meat has a unique taste and flavour, reflecting what the animal has eaten on the farm – be it the upland limestone meadows of Yorkshire or the wildflower-rich pastures of the Cotswolds. Pasture for Life beef, lamb and dairy products are environmentally friendly, as this system of farming encourages wildflowers, insects, birds and mammals. There is no reliance on imported feeds like soya from South America and the meat has a low carbon footprint, as little machinery is used. 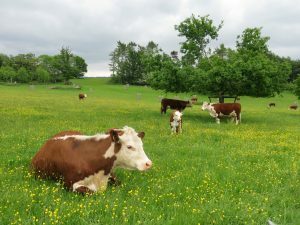 It is animal-friendly too – as fed on a natural diet of grass and pasture, cattle and sheep are less stressed, live longer and are more fertile. And as well as all this, the meat from Pasture for Life animals is healthier for people to eat than meat from animals fed on grains. It has lower total and saturated fat content, it has more good fats such as omega 3 fatty acids and also more vitamins and minerals. Every pack of meat or dairy produce can be traced quickly to the farm and individual animal it came from, via a smart phone or on the website. 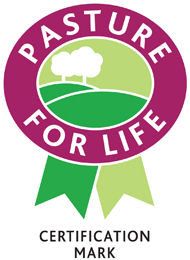 Our certified ‘Pasture for Life’ farmers can all be found on our ‘Where to buy’ page https://www.pastureforlife.org/where-to-buy/ . Many sell through farm shops and others sell online – so it is always easily accessible, wherever you are in the country. 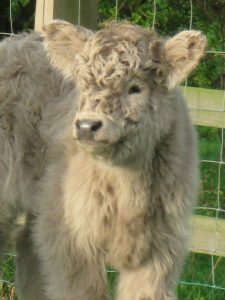 Visit our website https://www.pastureforlife.org to find out more about 100% grass-fed beef and sign up to become a supporter for free.